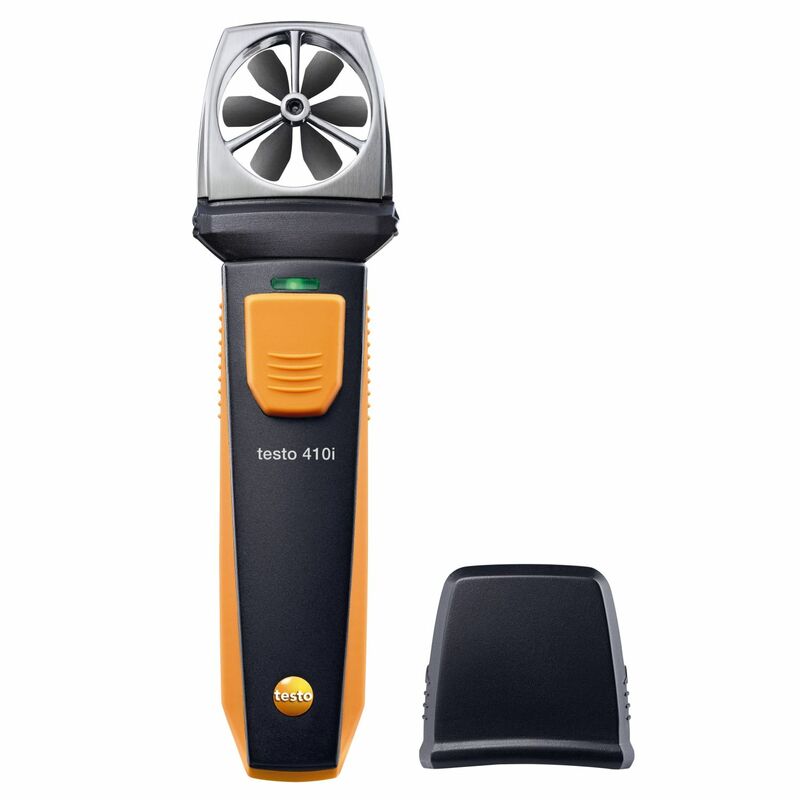 Kit for carrying out measurements in ventilation ducts and at air outlets: The testo 440 air velocity and IAQ measuring instrument, the vane probe (Ø 100 mm) with Bluetooth® including temperature sensor and the hot wire probe including temperature sensor are all safely stowed away in the case. 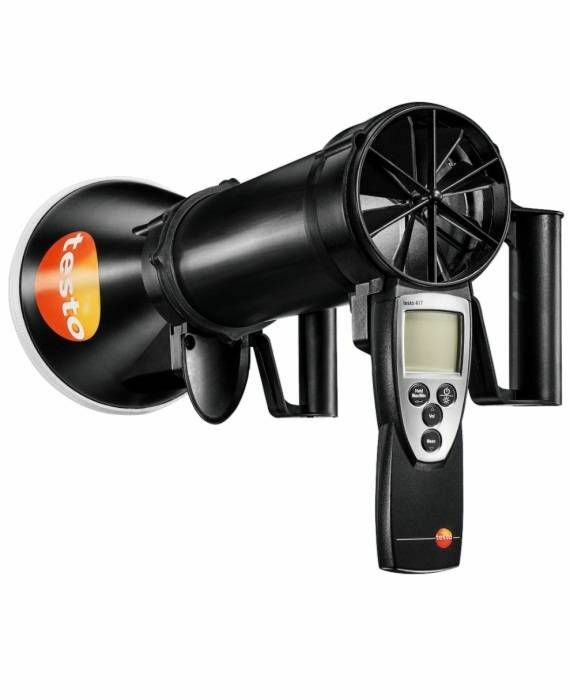 So you can get down to work straight away! 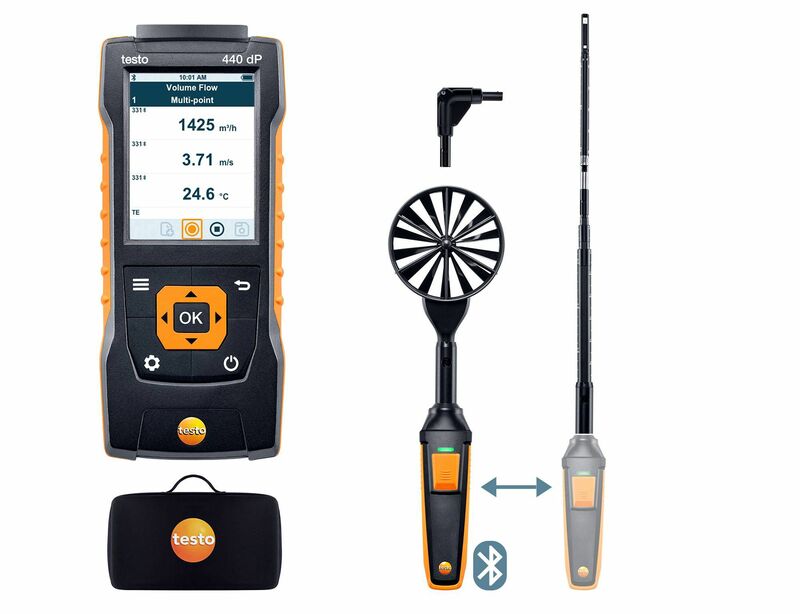 Kit for carrying out measurements in ventilation ducts and at air outlets: The testo 440 air velocity and IAQ measuring instrument, the vane probe (Ø 100 mm) with Bluetooth® including temperature sensor and the vane probe (Ø 16 mm) are all safely stowed away in the case. 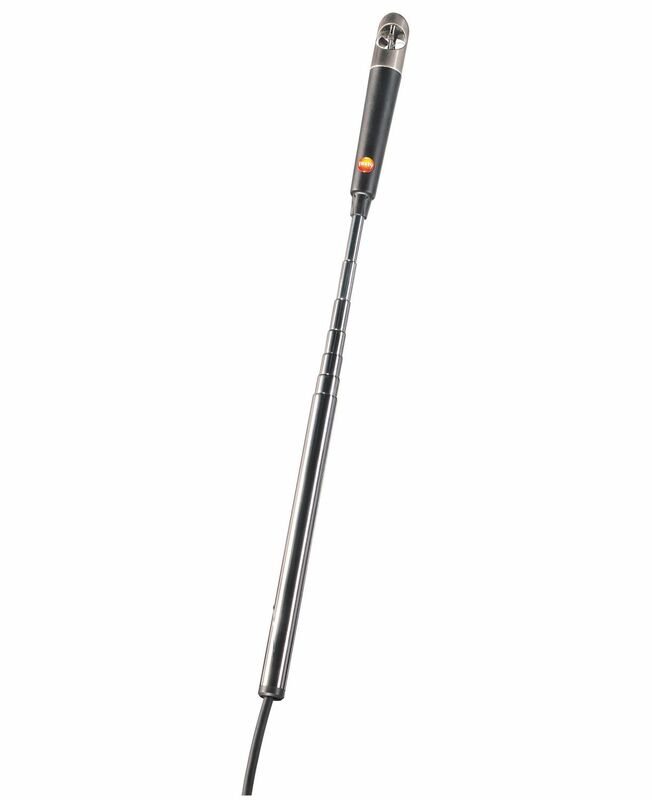 So you can get down to work straight away! 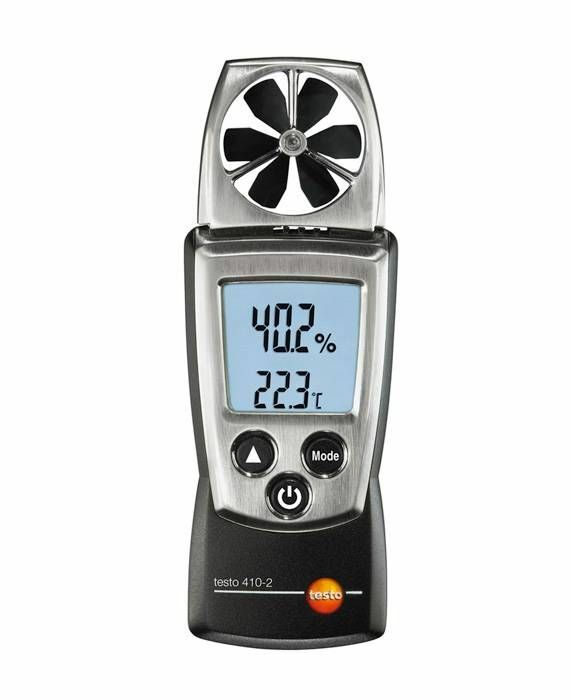 Carry out measurements without any annoying cables: use the kit to handle all relevant measurements in ventilation ducts and at air/ceiling outlets. 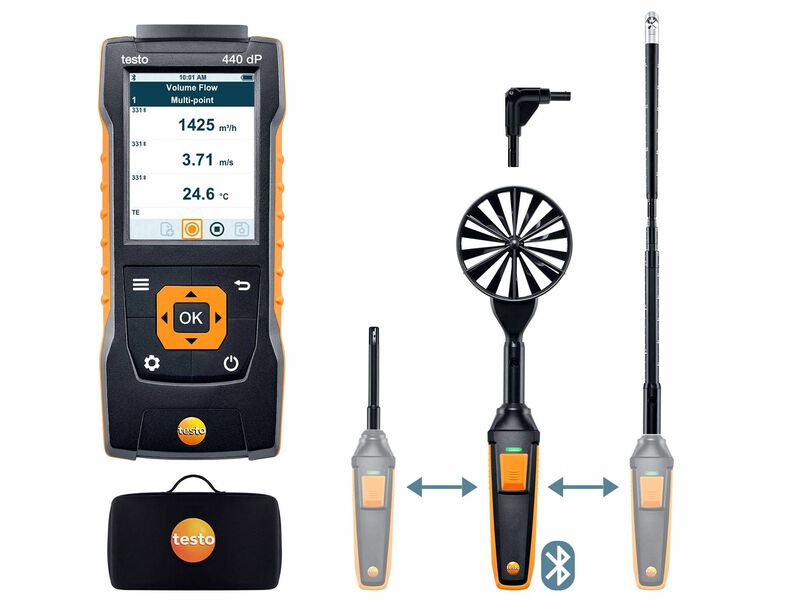 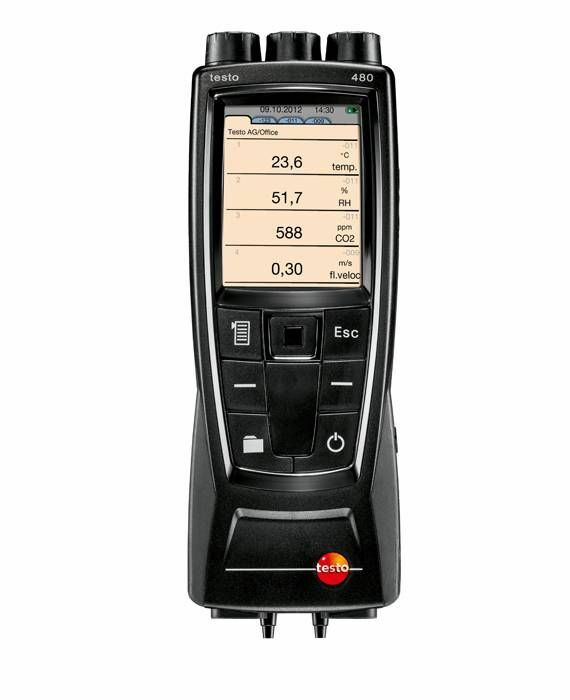 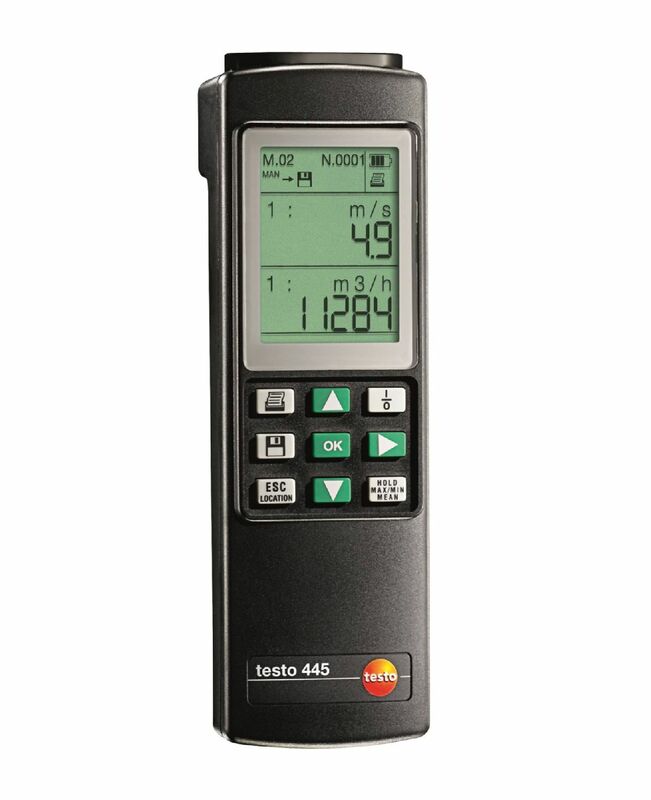 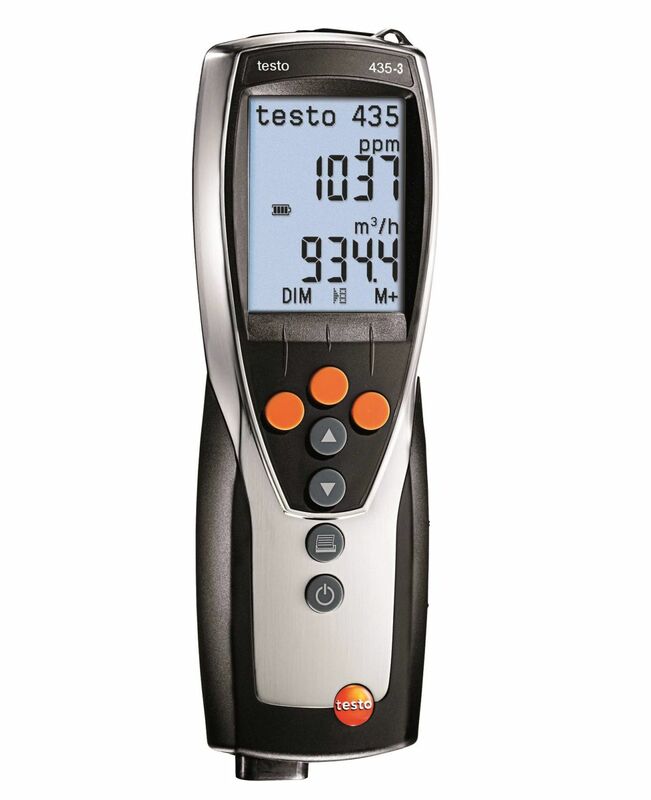 You will receive the testo 440 dP air velocity and IAQ measuring instrument including differential pressure sensor and the 100 mm vane probe head and hot wire probe head (Ø 9 mm) for attachment to the universal Bluetooth® handle supplied. 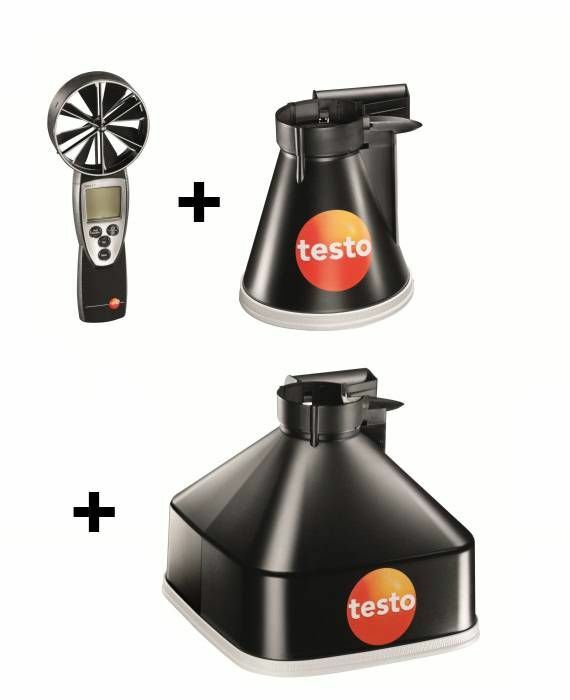 To make measurements more convenient, both probe heads can be combined with the telescope included in the kit. 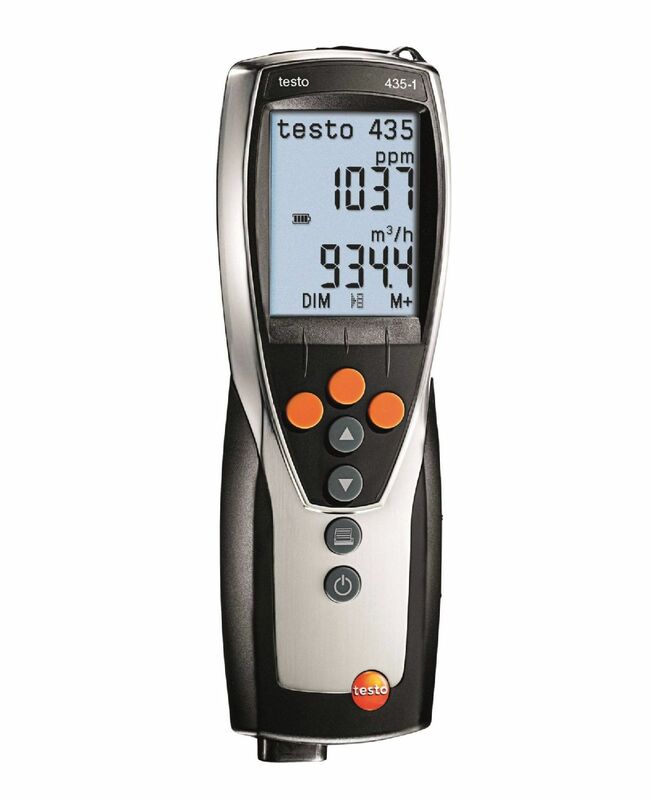 The equipment can be transported safely and conveniently in the robust case. 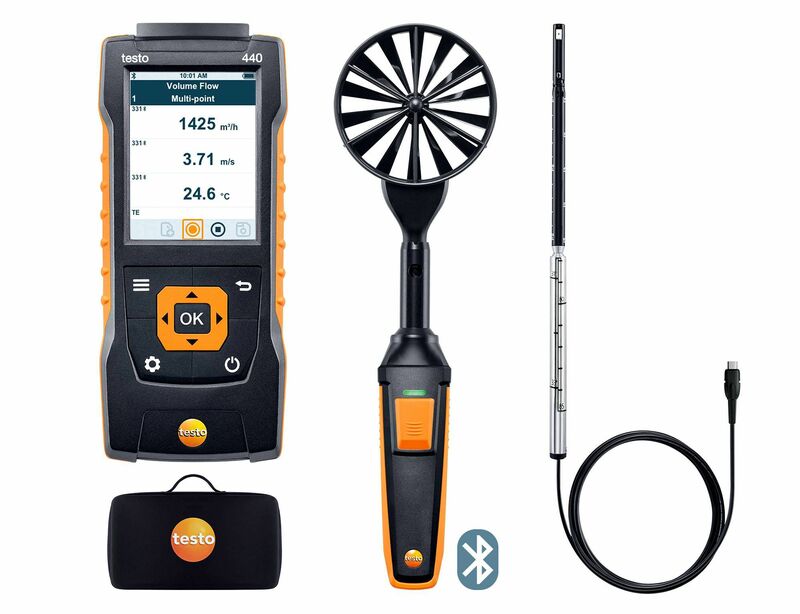 Carry out measurements without any annoying cables: use the kit to handle all relevant measurements in ventilation ducts and at air/ceiling outlets. 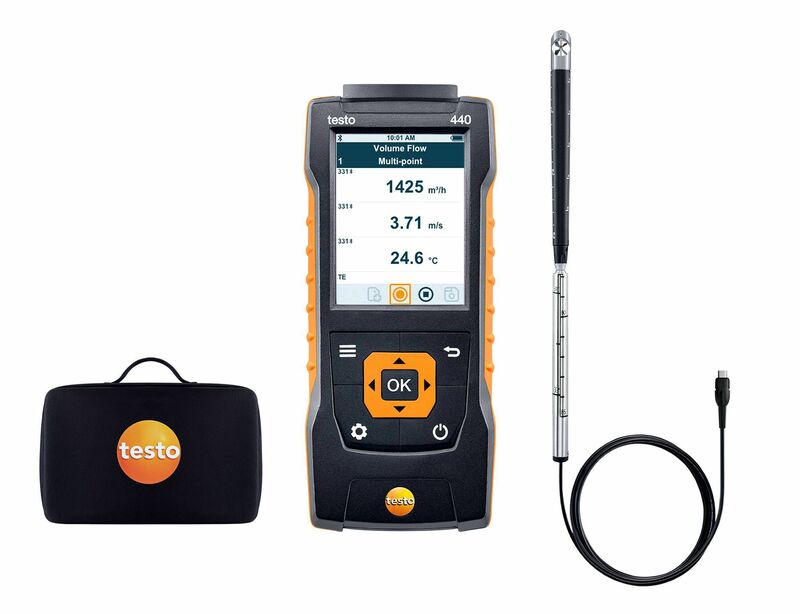 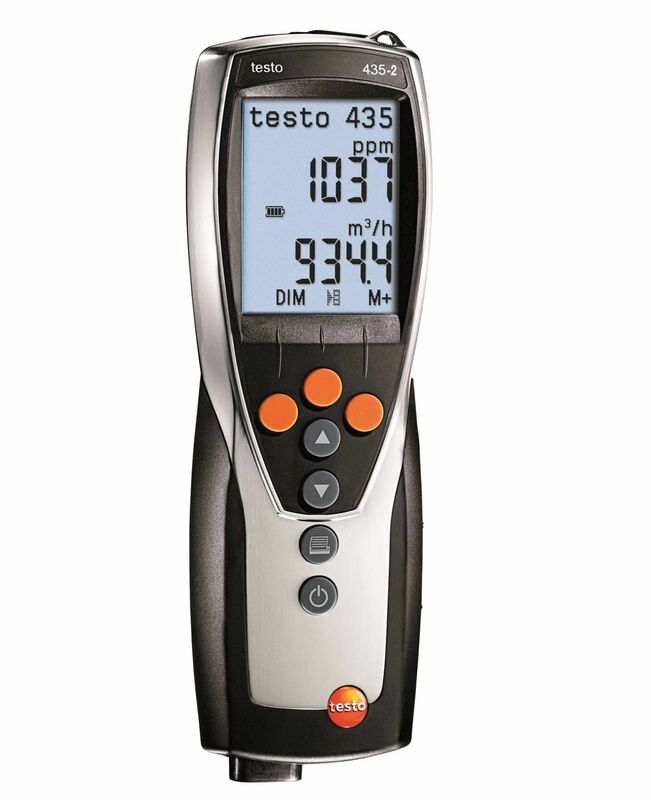 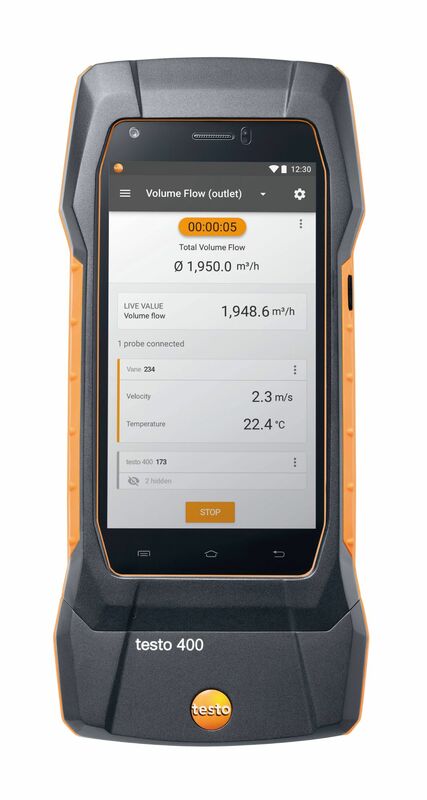 You will receive the testo 440 dP air velocity and IAQ measuring instrument including differential pressure sensor, two vane probe heads (Ø 100 mm and Ø 16 mm) and a humidity/temperature probe head – all three can be attached to the universal Bluetooth® handle supplied. 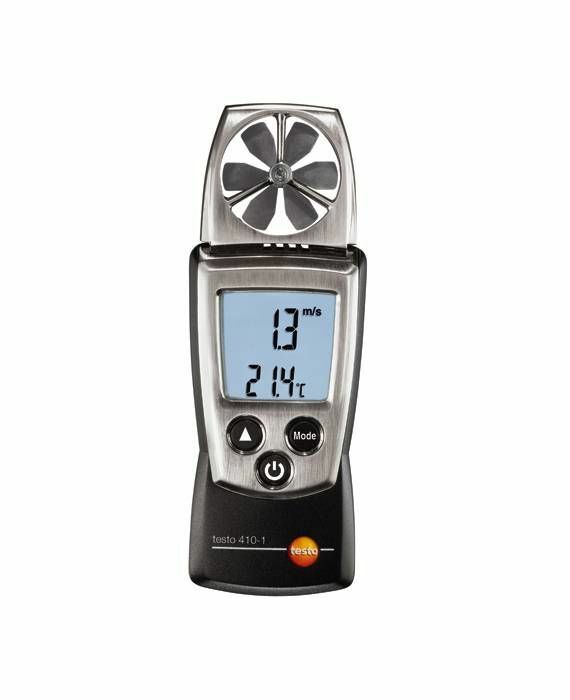 To make measurements more convenient, both vane probe heads can be combined with the telescope included in the kit. 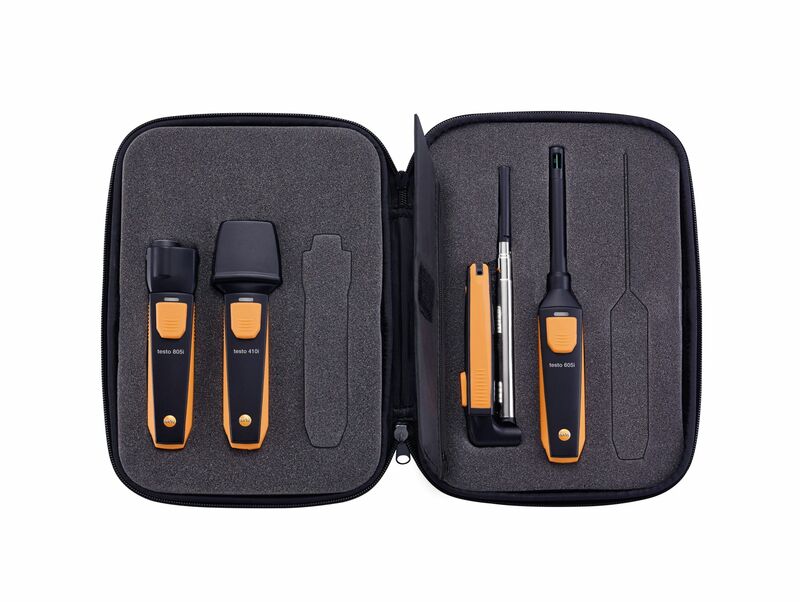 The equipment can be transported safely and conveniently in the robust case. 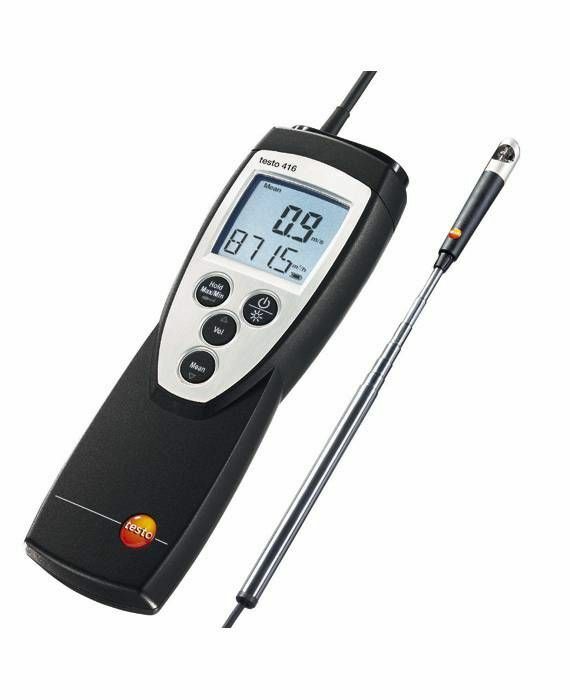 The vane probe (in conjunction with the appropriate measuring instrument) is ideal for determining flow velocity and volume flow in ventilation ducts.